Air Canada just dropped the price of pretty much every flight between now and October or so down to $318 roundtrip after tax. Mexico City doesn't normally see flights below $650 or so. It's not like Cancun or Puerto Vallarta or other tourist hot spots with charter flights competing for fares. You can see the cheap flights right on their site, https://www.AirCanada.com or likely anywhere else you like to search for flights. 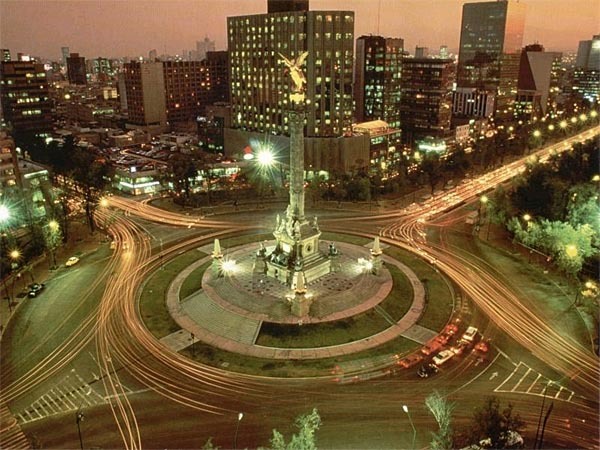 vancouver, yvr, mexico, flight deals, air canada, mexico city and mex. 5 Responses to "Air Canada just dropped every flight to Mexico City down to $318 roundtrip after tax"
For that price, I might have to make a pit stop in Mexico! The deal is over, it seemed a mistake. The base tickets are still 99$, but the taxes fees and surchages magically went up making it $500 a person. Yeah they put it back up this morning. It was a good price while it lasted! Air quality has improved but still pretty bad, not sure I want to go, been there once about 20 years ago. Great price $458 inclusive non stop is still pretty good. everyone talks about the dangers of Mexico ...please! don't they watch Canadian or American news???? from an outside perspective we would seen very dangerous too. i have been going to Mexico for many years now and have experienced nothing but a great time. Like anywhere...be travel smart.